Beautifully built sliding wardrobe doors at unbelievable prices. Contact us on 0333 210 6737 or by email sales@slidingrobesdirect.com. Welcome to Sliding Robes Direct (Est. 1983) where you’ll find an incredible range of high-quality sliding wardrobe doors at an unbeatable price. 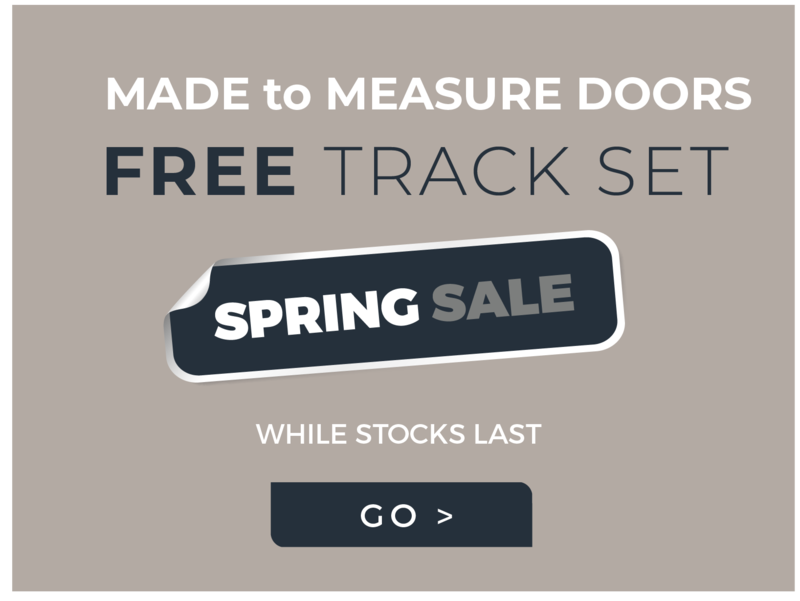 We deliver to customers all over the UK and Ireland, with purpose-built sliding doors which are up to 60% cheaper than what you’ll find in high street stores. Whether you’re searching for made to measure doors, standard sliding doors or a bespoke design, we can help with our huge range of exceptional sliding wardrobe doors. Let us help you to transform your space at just a fraction of high street prices! Quality is always a priority at Sliding Robes Direct and we can promise that you won’t find any substandard materials or inferior engineering in any of the quality furniture we sell. All of our sliding wardrobe doors are custom-built by hand in our own factories, after being designed by our highly-skilled technicians. We’re confident that you won’t find sliding wardrobe doors that are built better elsewhere! We have an absolute commitment to delivering incredible quality and insist on only using the very best products which have been sourced locally, in addition to specialist materials from across Europe and the US. Established in 1983, we have more than three decades of experience in the business and are one of the market leaders of sliding wardrobe systems in both the UK and Ireland. To read more about the fantastic quality of our wardrobe doors, just take a look at our testimonials and see what some of our previous customers have to say. The best part of all is that you won’t have to pay a small fortune for our expertise as we are able to keep our prices low and our quality high. How do we do it? One of the ways is that we don’t have any high street showrooms - you won’t find us at any retail parks or in shopping centres. This means we can make lots of savings and pass those onto you, our customers. That doesn’t mean you can’t speak to us though - we’re always happy to talk to our customers and provide any help and advice you need. All orders are placed online but we’re only ever a phone call away if you need to query anything. All of our sliding wardrobe doors are designed to be as easy to install as possible, whether you’ve opted for made to measure sliding doors or selected from our range of standard doors. Made to measure sliding wardrobe doors are the easiest of all to install as they just need to be screwed to the top and bottom tracks. If you’re not confident about tackling more complex DIY tasks, the made to measure wardrobe doors are a great pick as they’re quick and easy to install and simple enough even for DIY novices to succeed with! A professional installation is undoubtedly the simplest option but our standard sliderobe doors can also be installed easily enough by a general handyman, or anyone who has some experience of DIY. You’ll find step-by-step instructions in our Help section together with links to videos which offer a practical demonstration. Are you looking for mirrored wardrobe doors? Or do you love the contemporary appeal of sliding glass wardrobe doors? Whatever your personal style, you’ll find there’s a vast arrange of sliding wardrobe doors, all available at the same rock bottom prices. Browse through our range of sliding wardrobe doors and you’ll find more options that you’ve ever dreamt of. From smooth, curving aluminum to high gloss paint and a variety of natural woods, the choice really is yours. 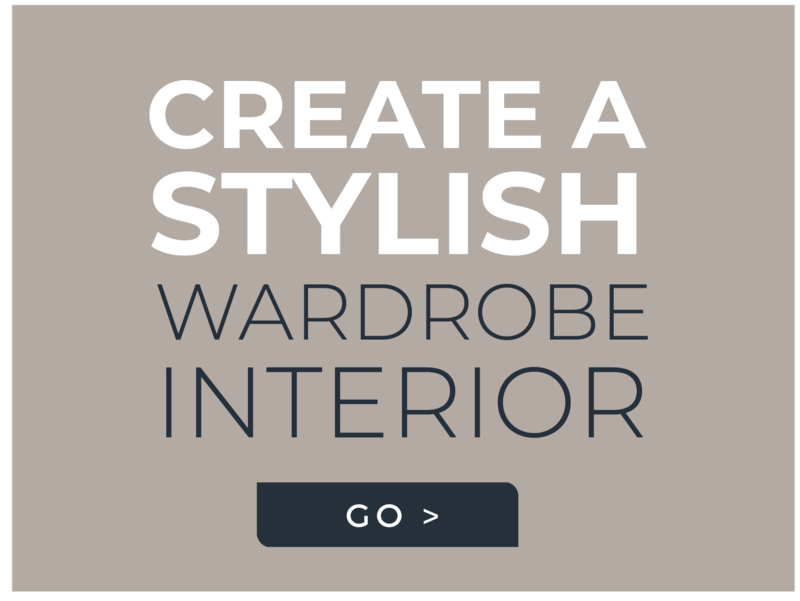 Whether your decor is traditional, modern or delightfully unique, you’ll find our immense variety of styles, colours and finishes will help you find your perfect wardrobe doors. Why settle for a compromise elsewhere when your fantasy design is waiting to be discovered with Sliding Robes Direct! We know that wardrobes come in many shapes and sizes so alongside our range of standard doors, we offer a made to measure service. Are you trying to fit a wardrobe in a dormer or an attic? Not an issue with our range of angled wardrobe doors that can be made precisely to measure in either wood or glass. Maybe you’re looking for large wardrobe doors or your space is a bit of an awkward size? Our range of made to measure sliding doors means you can still have the style you want. From etched, contemporary designs to frameless mirrored wardrobe doors and classic wood, we offer a variety of configurations so you can make a style statement that is uniquely you. No room for sliding doors? Although our sliding wardrobe doors offer an unbelievable number of options, there may be some openings which are just too narrow. 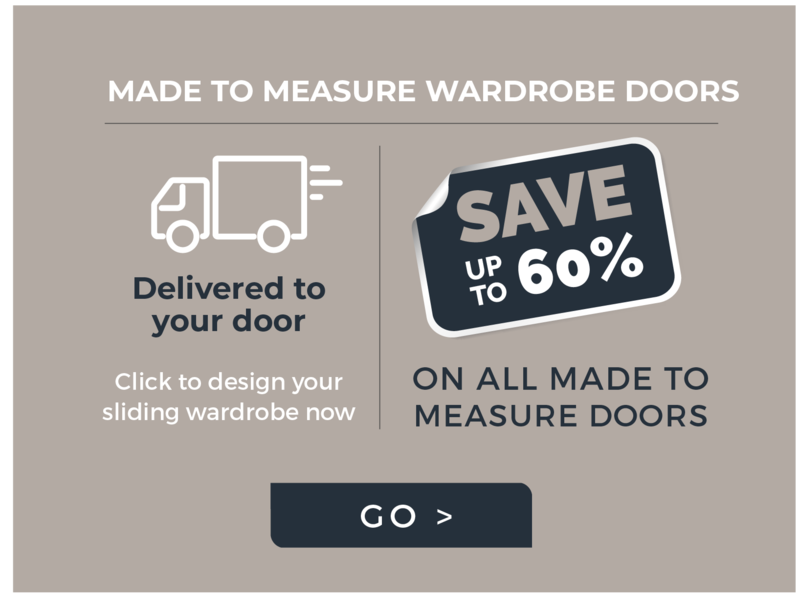 Don’t worry, you can still enjoy the stunning craftsmanship and great prices as we’ve got alternative styles of made to measure wardrobe doors too. Our pivot doors are perfect for smaller spaces which don’t suit sliding wardrobe doors, or can be used alongside sliderobe doors to create matching panels or frames. Another great option is bi-fold doors, available in glass, wood or mirror. Bi-fold doors provide full access to the entire wardrobe space, offering convenience coupled with stunning design. The wardrobe doors are one of the most visible parts, and the area that tends to make the biggest impact - but we haven’t forgotten about the rest of the wardrobe either! If you’re only looking for replacement sliding wardrobe doors, you can order just the doors and nothing else. If you’re planning on constructing a whole new wardrobe, we’ve got the inners and panels you need. Shelving, dividers, hanging rails and drawers are available in a range of finishes, so you can create the wardrobe that fits your space. Want more storage and less hanging space? No problem! Simply select more tower storage units and fewer rails. With our modular options, this is your chance to design the wardrobe you’ve always wanted at an impossibly low price. We haven’t forgotten about the practicalities either so you’ll find end panels in our catalogue, along with sundries such as spare rollers, liners, locks and tracks. If it belongs in a wardrobe, you’ll find it here at Sliding Robes Direct. We truly are a one-stop shop for everything you need for your dream wardrobe! We do other furniture too! Although we’re known for our exceptional sliding wardrobe doors, we also offer a whole range of other furniture too! If you want to furnish your bedroom, check out some of the other furniture we’ve got online. Some of the bedroom furniture we’ve got available includes tall boys, chest of drawers and bedside cabinets in a variety of styles including handleless, glass and wood. Design your fantasy room with our collection of bedroom furniture to complement your new sliding wardrobe doors. Spend some time looking around our website to decide what you want - there’s an incredible selection to pick from! When you’re ready to place your order, we make it simple by offering an online service from start to finish. This ensures that your payment is handled securely and only your card provider is able to view your information. Of course, if you need any help or advice, you can email us at any time at sales@slidingrobesdirect.com or call us on 0333 210 6737. We’ve compiled a list of some of the most commonly asked questions, together with the information you need. If you can’t see the answer you need below or you need more details, please get in touch. Do I need to purchase the tracks separately? No. Tracks are automatically included for both our standard sliding wardrobe doors and our made to measure designs. 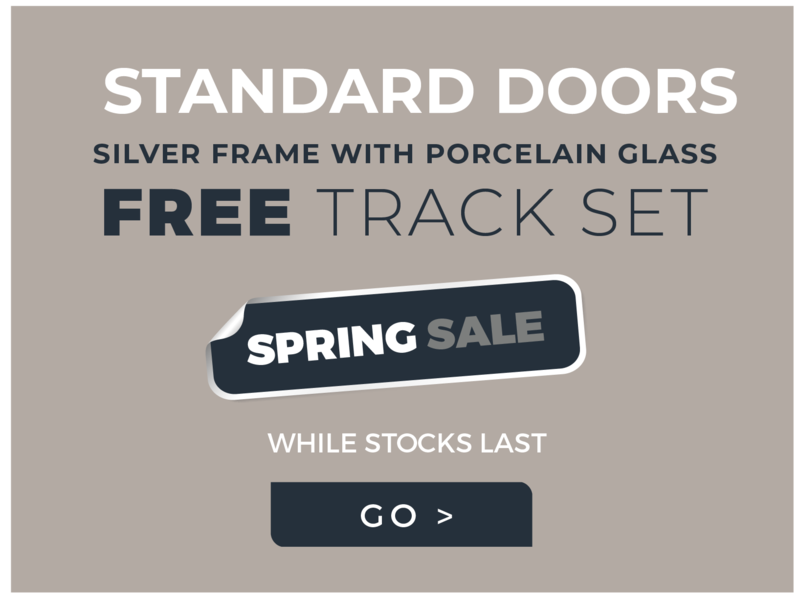 For standard doors, the tracks are provided in either white or silver while for made to measure designs, they match your order. All tracks supplied will need to be cut to the required length. You will need to purchase fixings such as screws. How do I measure the height and width? To get sliding wardrobe doors that fit your space, we recommend taking three measures of both the width and the height. For the width, use the largest measurement and for the height, use the shortest. My walls are wonky! Does that matter? The wheels on the sliding wardrobe doors can be adjusted by up to 20-25mm in height automatically so don’t worry if your opening isn’t a perfectly even square. Although a square opening is preferable particularly for soft close designs, if there’s a bit of a slope to your wall, floor or ceiling, you can still place an order. Do I need to order liners - and are these the same as strike plates? Yes, liners and strike plates are exactly the same thing. They are slender strips of wood that sit around your doors and help to provide an attractive frame. You can even up the dimensions of your opening by packing out liners, so they have a practical use too. Liners are entirely optional but they’re useful for walls with skirting boards, and we recommend they’re used for soft close doors being installed on carpet. Do I need to take the measurement of the sliders into account? Wall and floor lines have a thickness of 18mm and this should be factored in when you’re calculating the size doors you need. You have the option of either deducting it yourself, or of adding a note during the checkout process. If you opt for the latter we will make the necessary changes to the dimensions in our factory during production. We will not make any changes automatically unless this information is provided during the Checkout process. Do I need to add VAT to the price? VAT is already included in the prices that you see; it’s automatically added at the rate of 20%. How long will it take for my sliding wardrobe kit to arrive after I place an order? The length of time depends on whether you order a standard or a made to measure sliding wardrobe door. Standard doors typically take a week or less. We quote 3-4 weeks on made to measure sliding robes, but 90% of orders arrive within 3 weeks. It rarely takes the full 4 weeks for your new wardrobe doors to arrive. Why can’t I order over the phone? Although we’re always at the end of the phone to provide advice and help, all our orders are made via the website. The reason for this is that it means that only your card provider will ever see your details, not us. This helps to protect your data and keep it as secure as possible. Do the sliding wardrobe doors need to be installed professionally? The craftsmanship on our hand-built sliding doors is exceptionally accurate and this makes installation much easier. If you’re ordering a made to measure sliding door, you simply need to place in position and screw to the top and bottom. This means that even inexperienced DIYers may be able to comfortably manage the installation. Other installations require more work and we recommend that either an experienced DIY enthusiast or a professional is used to get the best result. The length of the installation depends on the options you’ve chosen as some are simply a case of lifting the doors on and screwing them down, while others involve more complex measurements and cutting panels. The more complicated installations could be managed in a very long day, so if you’re hiring a professional, budget for a day and a half of work and you’ll be comfortably within that time frame. How many people are needed to install sliding wardrobe doors? Almost the whole installation can be managed by one person working on their own. However, due to the size and the weight of the doors, a second person is needed for lifting the door onto the tracks. We also advise that two people carry the door upstairs to the required location, to prevent accidental damage. Great Service!! The delivery was an excellent service, plus the quality is really great. The oak doors look fantastic next to our oak flooring. Thank you so much for all your help. Looking forward to the final phase, in the new year, so I can order the last three!